The new shape of modern mosaic design. Bulan means “Moon” in Indonesian. These tiles are made of our most popular mosaic materials such as onyx, basalt, and marble. 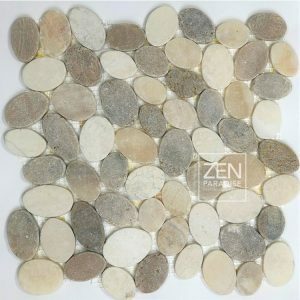 Zen Paradise has combined these materials into interlocking tiles made of perfectly shaped ovals. 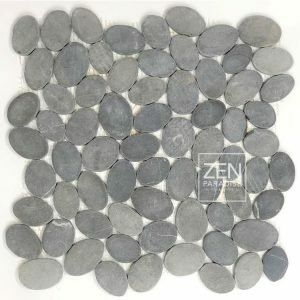 The Bulan Stones tile has allowed Zen Paradise to combine are most popular mosaic colors and blends into tiles that closely resemble our popular wave tile line. 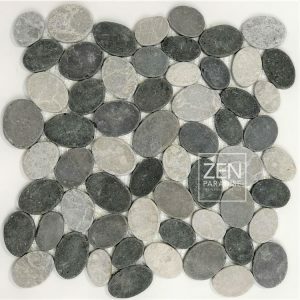 Bulan Stone tiles can be used in bathrooms for flooring back splashes and shower surrounds as well as shower floors. 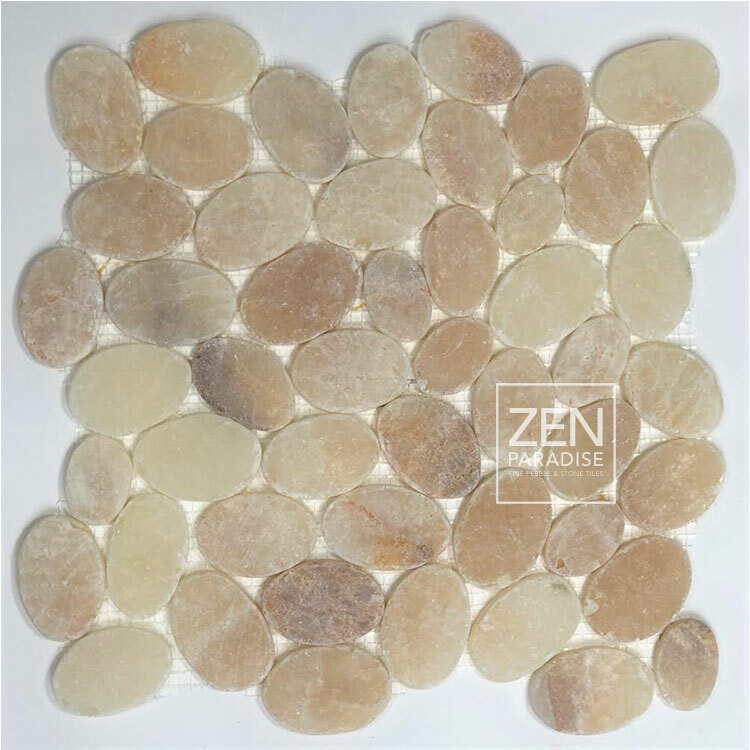 These tiles can also be used for kitchen back splashes, feature walls and outdoor patios and walkways, retaining walls and pools. Size: 12” x 12” • Elevation: ⅜” • Pattern: interlocking • Finish: cut and tumbled • Materials: onyx, basalt, and marble • Weight: 4 lbs.